GUADALUPE COUNTY, Texas - Public records confirm the recently elected district clerk of Guadalupe County accepted more than $30,000 in campaign contributions from her husband's construction company as he hurtled toward bankruptcy last year. Josh Balk, the owner of Balk Construction Services and the husband of Guadalupe County District Clerk Linda Balk, is also under criminal investigation in Comal and Guadalupe counties after multiple people came forward to law enforcement officials claiming that Balk accepted money to complete construction projects, then abandoned the jobs and failed to pay subcontractors who performed work for him. "Everything has issues. There's not one thing that was completed," said Troy Jones, who along with her partner signed a contract with Balk for $347,000 in January 2018 to build a custom home on 1 1/3 acres in Spring Branch. Jones said Balk promised to have the home completed by July 2018 at the latest. Jones said the home was framed by last February, but progress then slowed and Balk eventually stopped showing up. More than a year after the contract was signed, a second contractor has been brought in to fix Balk's faulty craftsmanship and to complete the home. The construction issues include a chimney that was installed incorrectly and a recessed light in a back bedroom that was installed and then promptly covered up by dry wall. Additionally, Jones has had to pay off four subcontractors who worked on the property but were never paid by Balk. "I cry every time I come in here. I try not to," Jones said. Jones filed a criminal complaint against Balk with the Comal County Sheriff's Office in November. Records provided by the Sheriff's Office indicate that the case is being investigated as third-degree felony misapplication of fiduciary property, since Balk was given access to a large construction loan. ** If you're having trouble viewing the slideshow click here. 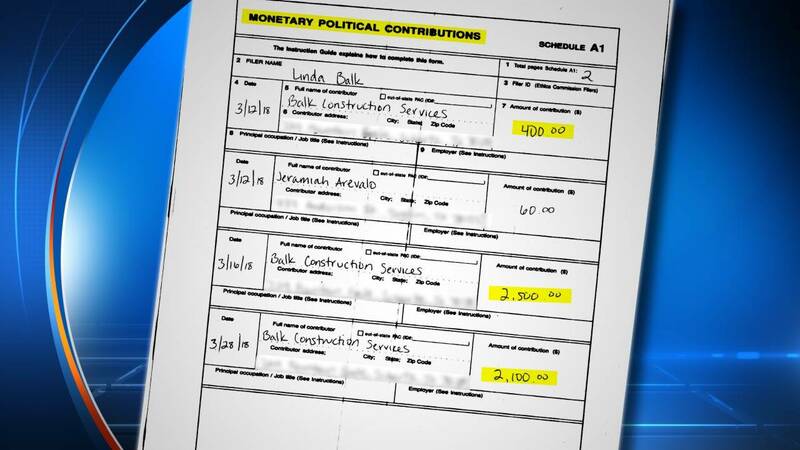 Guadalupe County campaign contribution records for Linda Balk indicate that Balk Construction Services made several contributions to her campaign within days of Josh Balk taking draws from the construction loan. In all, from November 2017 to April 2018, Balk Construction Services made 11 contributions to Linda Balk's campaign totaling $30,143.27. The contributions included two large payments for advertising expenses and one loan. "Where the hell is my money?" Jones' travails in Comal County have parallels to what has been experienced by a Guadalupe County small business owner who asked to be identified as Ms. Hernandez. Records show Hernandez, through an investment company, paid Balk Construction Services $106,000 from late June to late August last year to complete a physical expansion of her business. Josh Balk promised to complete the project within 30-45 days and made quite a bit of progress on it for the first several weeks, according to Hernandez. Hernandez said Josh Balk and the work crews then did not show up for several weeks. "Finally, I had one of his subcontractors, came in, said, 'Look, I don't know what's going on, but I need my money.' I said, 'Excuse me? I didn't sign a contract with you,'" Hernandez said. A second subcontractor then came forward to Hernandez and said that he also had not been paid for work done on the expansion. Last fall, after Josh Balk had already been paid $106,000, a contractor hired to finish the project told Hernandez that at most $80,000 worth of work had been done. "Where the hell is my money?" said Hernandez, who added that the mishandled project has led to many sleepless nights. The KSAT 12 Defenders spoke to six other people who said they either worked for Josh Balk and were never paid or hired Josh Balk to complete a construction project, only to have it run into problems and never get completed. A Guadalupe County official confirmed last month that Josh Balk and Balk Construction are under investigation by the sheriff's office, but he declined to release details about specific cases. Guadalupe County court records indicate that two companies filed lawsuits less than a month apart late last year against Josh Balk and his company, claiming he defaulted on payments for construction materials. Both companies have also filed liens against Josh Balk, according to Guadalupe County clerk records obtained by the Defenders. 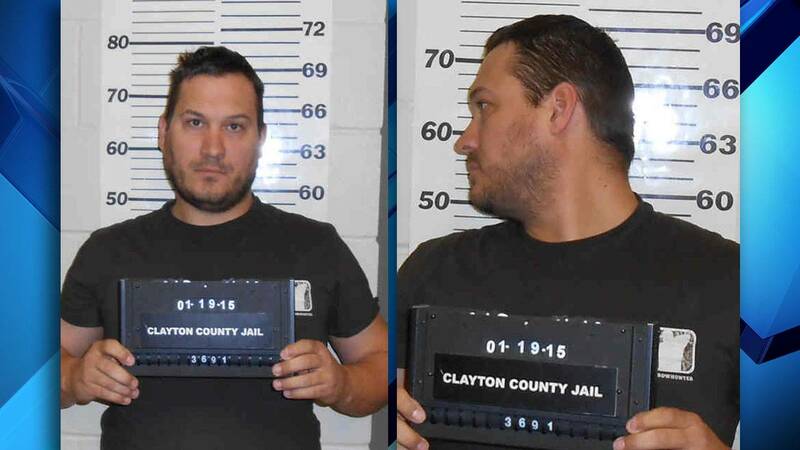 Balk, who has not been criminally charged in connection to work done with his construction company, does have minor criminal histories in Iowa and North Dakota, according to a public records check. Josh Balk was sentenced to one year of probation in Iowa in 2015 after being charged with driving while his license was denied or revoked. Records show Josh Balk was also arrested in North Dakota in 2007 and charged with failing to carry a current hunting license. Linda Balk, who was elected to the countywide position in a runoff last May, did not respond to a request for interview sent via email on Dec. 4. Instead, an attorney claiming to represent Linda Balk called the Defenders less than 20 minutes later and asked what sort of investigative materials the unit had gathered. Public records also show that Josh Balk filed for Chapter 7 bankruptcy in early November, listing $138 in financial assets against $710,247 in total liabilities. Under a Chapter 7 bankruptcy, a person's nonexempt assets are liquidated and the proceeds are used to pay his or her creditors. Josh Balk's list of creditors includes 12 credit card companies, several building material companies and several small business financing companies. Josh Balk refused to discuss his pending personal bankruptcy or the contributions to his wife's campaign as he left a bankruptcy hearing Dec. 11. 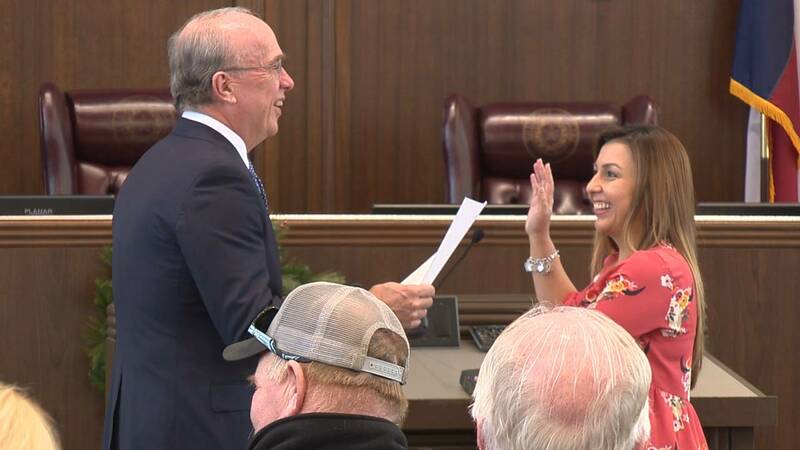 Linda Balk was officially sworn into office New Year's Day during a brief ceremony at Guadalupe County Commissioners Court. After the ceremony ended, she left the courtroom through a back exit. As the Defenders walked toward that exit, Josh Balk initiated contact and repeatedly said that his wife had no comment. Josh Balk eventually answered several questions about his deteriorating financial situation and work done for Jones and Hernandez. Josh Balk said the tens of thousands of dollars given to Linda Balk's campaign were profits from his construction company. "That woman went way over her budget on that house, too, sir," said Josh Balk, referring to Jones. The Defenders eventually caught up to Linda Balk as she stood outside the courthouse. "I will serve to them, and no comment. You can talk to my consultant," said Linda Balk, when asked if she had anything to say to Guadalupe County taxpayers or her husband's alleged victims. She then closed the door to her husband's truck and was driven away. Requests for comment sent to several email addresses listed for her political consultant have bounced back with a message that the accounts are no longer active.